Advasa provides unprecedented FinTech, IoT, and Blockchain technology based financial services for roughly 2 billion financial refugees worldwide. We also provide mechanism for providing new funds and means to build financial assets. In Japan, the amount of salary equivalent to the amount of work done by employees is already calculated in conjunction with the company’s attendance system. 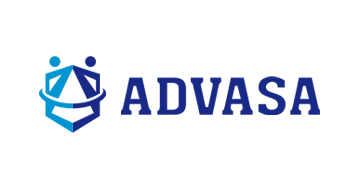 Advasa has developed a patented wage payment system where workers can receive their salary portions at any given time and this payment service model is expanding as a financial platform globally. Users can charge their own earned money to a prepaid card or mobile wallet whenever needed and can make purchases and transfer money immediately. Low-income earners with low savings borrow money at high interest rates in the case of having to settle urgent expenses. Advasa’s system can provide low-income employees a peace of mind and curb the accumulation of multiple debts. Through these efforts, Advasa can provide environmental improvements in emerging economies, mainly to Africa and other Asian countries with agricultural support and assistance. Resolving food shortage crisis, increase income and heighten education level and establish various financial infrastructures.